For 2011, qualifying in the Formula 1 series had been dominated by the talents of the the reigning World Champion Sebastian Vettel. Vettel's Red Bull-Renault race car has been effective in resisting the best efforts of McLaren-Mercedes and even team rival Mark Webber through the first 4 races of the season. 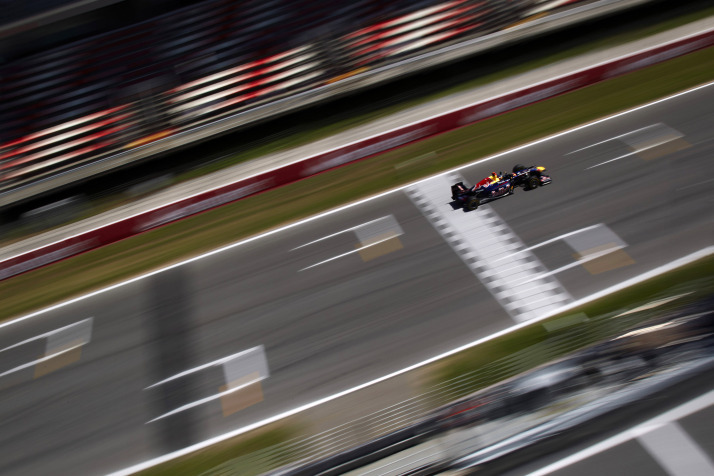 Landing in Spanish capital city of Barcelona to compete at the 4.655 kilometer (2.892 mile) Catalunya circuit, the fifth qualifying session of the season's tour presented a new opportunity to unseat the German Red Bull Racing driver; a chance one driver used to his advantage. Snapping Sebastian Vettel's undefeated record in 2011 Formula 1 qualifying, Red Bull Racing teammate Mark Webber emerged from Q3 as the pole sitter for the Spanish Grand Prix. Recording a top qualifying time of 1 minute, 20.981 seconds Webber is devoted to matching the pace of Vettel. Despite a sluggish start to the 2011 Formula 1 campaign, Mark Webber has recorded to podium finishes to the previous two events. “It was a good session. It was clear going into qualifying that we might have had a bit of a margin and would be battling for pole between ourselves today." Webber said realizing the ability that two Red Bull-Renault race cars should be able to compete for grand prix wins just like last season. Defeated but not disappointed, German Sebastian Vettel put his 2/10th of a second slower. "I made it on the primes. In Q2 I felt much happier on the soft compound tyres, but unfortunately in the last qualifying I lost a little bit too much and I wasn’t entirely happy with my lap." Vettel said. With lingering beliefs of an inner-team feud, Sebastian Vettel appears to accept his teammate as a worthy challenger. "Mark did a good lap and a better job today. Let’s see tomorrow, it’s a long race and we saved a set of tyres." In row two, Lewis Hamilton is continuing to show Formula 1 crowds the McLaren F1 team is prepared to lead a fight to Red Bull Racing's grand prix mastery. In 4th place on the Spanish Grand Prix starting grid is Ferrari's Fernando Alonso. Experiencing a slow start to the 2011 season, Ferrari and Alonso have turned their luck around with a podium in the Turkish Grand Prix early this month. With Mark Webber's pole being big news, one story in the back of the Formula 1 grid for this Grand Prix of Spain is from Lotus/Renault GP. While Vitaly Petrov performed well enough for a 6th place start in qualifying, the other team car driven by Nick Heidfeld was affected by a fire in the paddock area during the race weekend. While no one was reported hurt, the fire did burn the rear portion of the R31 race car. 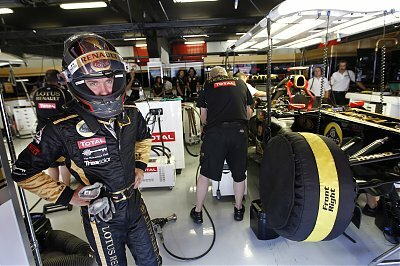 As the suspected cause of the fire is thought to be an exhaust failure, the Lotus Renault GP team needed the whole qualifying session to replace the race car. Despite being unable to log a time, Formula 1 officials basically overlooked the recently-reinstated 107% rule in qualifying permitting the second Lotus/Renault GP car to start the 2011 Spanish Grand Prix. Heidfeld will be starting in the back with a newly-rebuilt race car. The Formula 1 Spanish Grand Prix is slated to roll off at 8 am Eastern time.